If you are new to one of the internet’s oldest online casinos, you have the luxury of three Welcome Offers: The Welcome Bonus, The Welcome Package and £888 FreePlay. All will make your first days of playing worthwhile. The Welcome Bonus will see your first deposit doubled up to £100. Once you are signed up, go to Cashier and add up to £100 which will be matched instantly. In Cashier, click ‘Claim Bonus’ which will trigger an email to your account’s address. Once you click ‘Claim’ your bonus money will be added to your total and you can use it to play any games in the entire casino. This bonus is also valid on their mobile app. If you want the bonuses to continue for all your first week and not just your first day, you can look forward to bonuses up to a total of £1,500 with The Premium Welcome Package. Using the code Welcome1 you can get the same deal as you would with The Welcome Bonus with 100% up to £100. You can then make four more deposits with 30% up to £350 using bonus codes over the next 7 days and you will receive bonuses once you’ve wagered your deposit 3 times. All new players can take part in the £888 FreePlay which is a no deposit bonus and can be used in conjunction with The Welcome Bonus and the Welcome Package. Spin a Vegas style money wheel and win a minimum of £15 to play on selected games throughout the casino. The really lucky will win £888. FreePlay must be claimed after 48 hours and expires after 14 days. Jackpot Monday- receive a 30% bonus up to £150 to play on 5 Jackpot video slots. Table Tuesday- receive a 30% bonus up to £150 to play on 3 table games. Winning Wednesday- Did you lose at poker this Wednesday? If so then there’s 20% up to £20 using the code WinWed. Traveller Thursday- Use the code TravelThurs and unlock 20% up to £100 to play on selected travel themed games. Freaky Friday- Use the code FreakyFri to get FreePlay ready for the weekend and your favourite slots and casino games. Saturday Night Live- Use code SNL20 to claim 20% up to £100 to play in the Live Casino. Sunday FUNday- Recover from the antics of Saturday night by joining the Sunday raffle by making a deposit with the code fun888 to be in with a chance of winning one of 100 FreePlay prizes up to £500. Those are not the only daily prizes with prizes up for grabs every day in the Live Casino when you play Roulette and Blackjack. The Live Casino also boasts a no-deposit bonus with 15% up to £500 cashback from the Elite Lounge every day. There are also regular deals to participate in every month with a no deposit bonus for 26 players selected from those who logged in on the 1st to win a share of £888. On the 21st, Blackjack fans can get 20% up to £300 to play on Multihand Blackjack when they deposit with the code Blackjack20. Even with this smorgasbord of regular deals, you’ll be pleased to hear that there are great one-off seasonal promotions and no deposit bonuses that promise free spins and rewards to the winners. Like any online casino, 888 Casino’s promotions come subject to terms and conditions. It is essential for anyone enjoying online gambling to read all the fine print before partaking in a promotion to avoid anything unexpected. The following are the most crucial things to look out for and to take into consideration when playing on online casinos, including 888 Casino. Eligibility for promotions often comes down to if you have made a deposit or how many deposits you have already made. 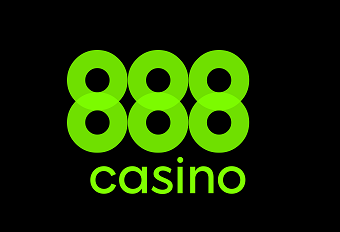 All Welcome Offers at 888 Casino are only available on the first or first few deposits and all other deals are only open to those who are making at least their second deposit. Some deals that involve the Elite Lounge or the VIP casino club will be open to exclusive players only. This is the number one thing to check before participating as deposits made in error will still be processed. All bonuses and winnings are subject to wagering requirements, typically 30x for an 888 Casino promotion but there are exceptions depending on the nature of the promotion, your chosen banking option or the territory you are playing in. Games also give different contributions to the wagering requirement with slots and scratch cards contributing 100% as opposed to Craps which only offers 5%. All wagering contributions can be found in the terms and conditions. Selected promotions at 888 Casino also cap winnings from bonus money at £500 which maybe something to consider before making bigger deposits. When using bonus codes double check it is entered correctly as misspelt codes will not be accepted but the money from the deposit may be.